April « 2013 « I'd rather be in France. Last night my business had its very first job. We catered a film set for a short film called Dub Step that one of Arthur’s buddies is directing. Over the course of the day, things went from nervous and excited to confident and prepared to borderline disastrous to actually kind of successful. 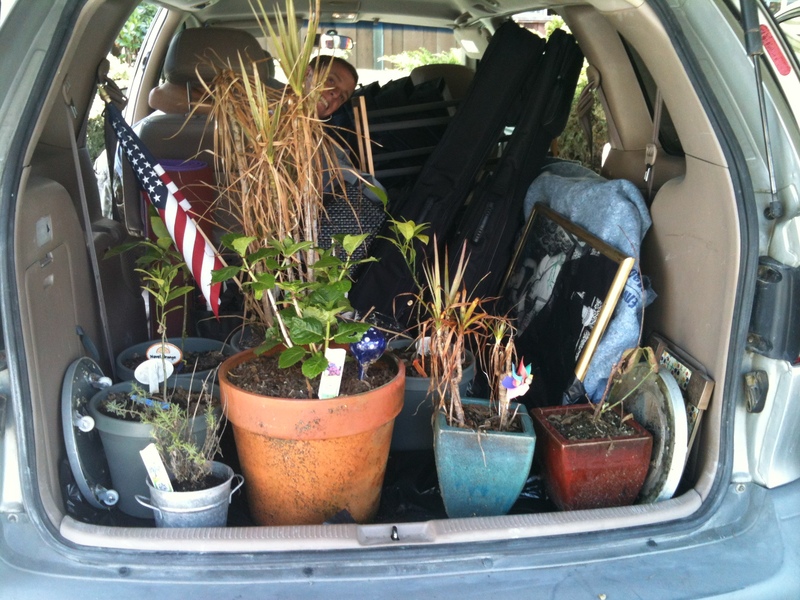 I’m thankful our first large-scale project (25 people) was for a forgiving friend. We have plans to practice this volume a few more times before we take a chance on client who doesn’t already love and adore us. 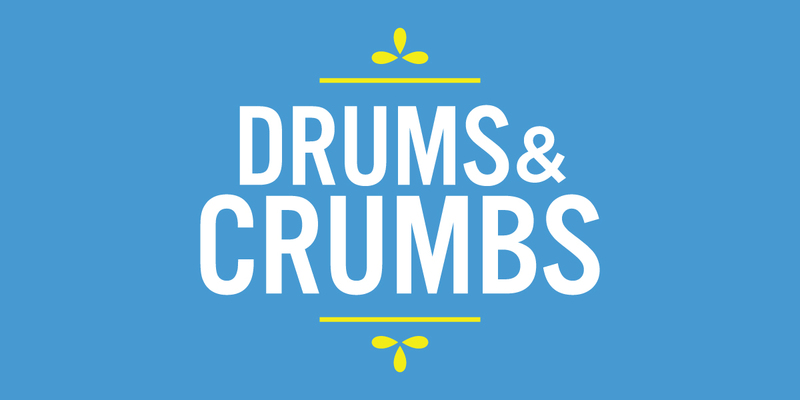 But first, let me back up a few steps and say that Drums & Crumbs is roaring along. Most excitingly, we have a logo! Now that we have that part figured out, we are working hard on getting a proper website. I’ve been working on a lot of the content, like the “Our Story” text and the menus. I think the funnest thing I did last week was draft our catering menu (which probably doesn’t sound very fun, but I loved doing it). Arthur and I are also putting together a Kickstarter campaign to crowdfund the final 15% of our start up/first year budget. That will be launched as soon as we can get a video together (which will hopefully be in May). I don’t want to spoil all of the surprises, but one of the rewards is going to be choosing a dish to be named after you or someone else that will be sold during your birthday week. And you’ll get a special birthday shout-out on the website. We have to replace our $150 level reward because ours involved wine and you can’t include alcohol as a reward, so if anyone has any ideas, do share. At our highest level, we’ll cater your 75-person wedding, complete with packaging in your wedding colors. In addition to a logo, a website-in-the-making, and potentially all of our financing (really it’ll depend on securing a truck lender, which will be easier after the Kickstarter campaign), we also have a pretty well-tuned product! 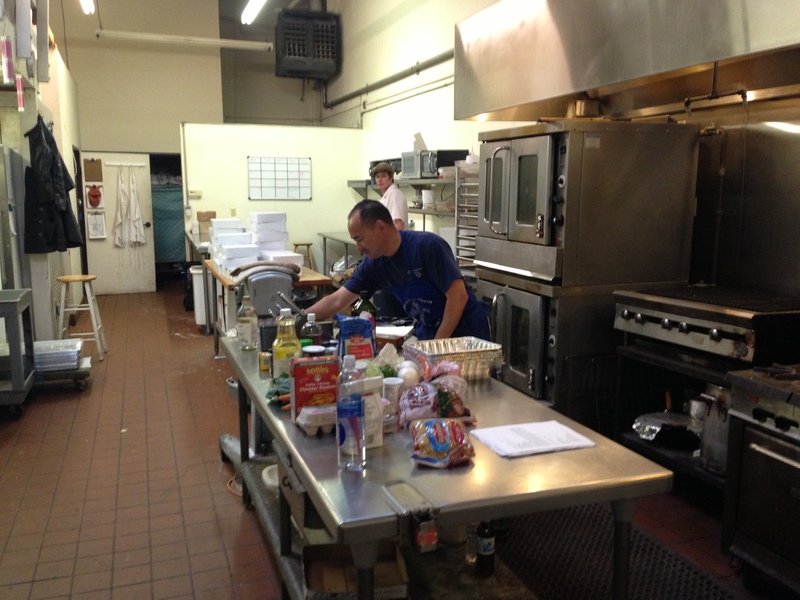 We’ve been in the test kitchen for the past two weeks experimenting and refining our recipes. 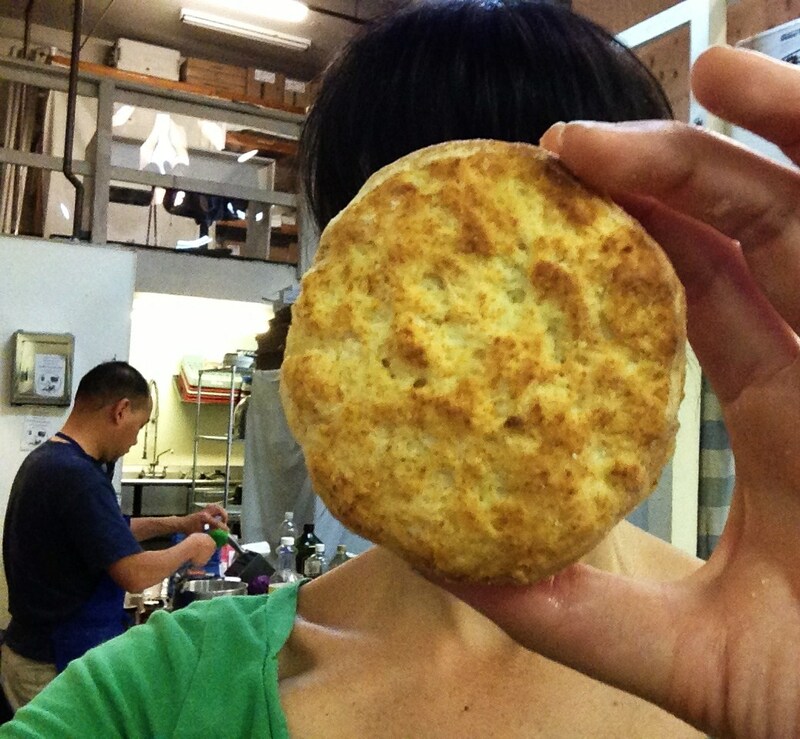 Some of the dishes, such as our cole slaw, collard greens, cobbler and biscuits, are pretty close to our vision. Our chicken recipe is perfect, but we are still working on the actual cooking process. The only recipe still in the air is the macaroni and cheese. I’ve gone through five in the past two weeks and still haven’t found what I am looking for, although someone did tell me last night that it was the best mac n cheese they’ve every had. We had an opportunity to cater a 10-person lunch earlier in the week but declined because we didn’t think the product was quite ready. As a result, the job at the film set was our official debut. 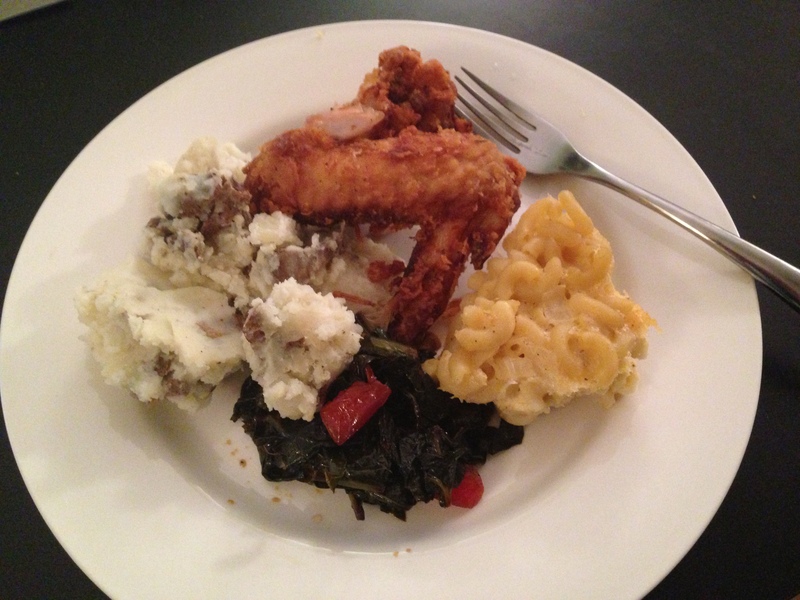 The menu was straightforward: fried chicken, cole slaw, mac n cheese, biscuits, cobbler, iced tea and water. We had successful made all of those things multiple times before the big day, although the most servings we had done at one time was eight. The estimate for the film set was 24. In the past two weeks, we have purchased the ingredients several times and have stocked up on most of the necessary preparation and cooking supplies. We are starting to get a grasp of the order in which we should do the unpacking, washing, chopping, boiling, mixing, melting, frying, baking and washing. From talking to other caterers, apparently the standard practice is to start out of one’s kitchen, but we’ve opted to run a legitimate operation and are working out of licensed commercial kitchens. It does cost money to rent the kitchen space (around $25 an hour ‘a la carte’ but less if you commit to a certain quantity of time), but advantages include copious prep space, a ten-burner gas stove, four ovens (two of which are high capacity convention ovens), a high pressure pre-rinse sprayer and a deep three-compartment sink, a dish/pot/utensil sanitizer with a 60-second cycle, and walk-in fridge storage. Its also the legal way to operate a food business, which my lawyerly background can’t ignore. When we do get the truck, we will have to do all of our prep and cooking in a commercial kitchen, so its also good practice for that. The day of the film set job started off great. The client wanted the food served at 7:30pm, so we needed to be at the kitchen, which is 45-minutes away, by 3:00pm. This meant we had to leave the house at 1:45pm to get the perishable ingredients. The drive between Sonoma and the kitchens we’ve been using is rather stunning. Imagine a two-lane highway through rolling hills covered in grapevines and vast pastures with clusters of dairy cows, sheep and picturesque barns. Usually we ride with the windows down and the radio on. Its not a bad way to spend an hour and a half each day. Our time in the kitchen also started off pretty well. 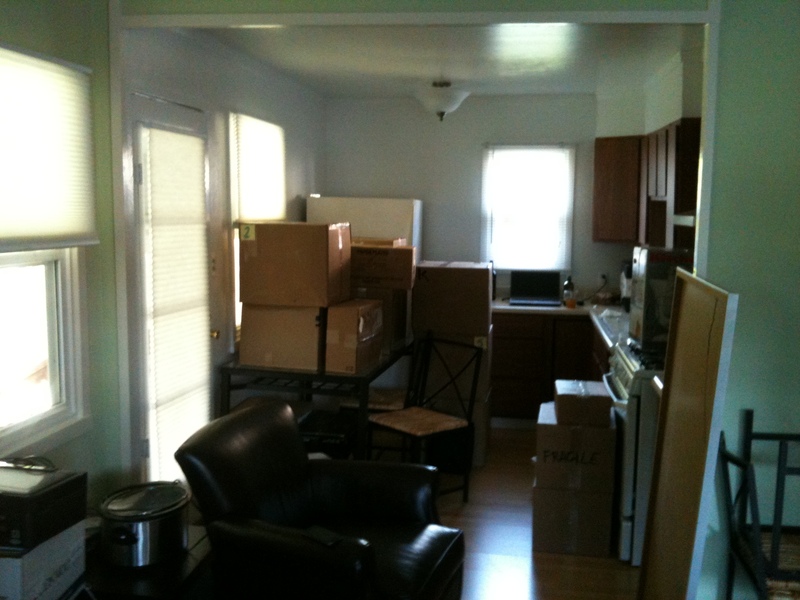 We unpacked and got to chopping and shredding. I chopped the cabbage and other vegetables for Arthur’s cole slaw, and he shredded the cheese for my mac n cheese (I really don’t like manually shredding things and need to research more efficient methods). We knew the chicken was going to take some time because we had 50 pieces to cook and we were doing it on the stove. The sides and cobbler were finished without a hitch, but the chicken ended up taking quite a bit longer than predicted. Two and a half hours longer, actually. As a result, we were almost three hours late to our first catering job. Stress levels were elevated, but we held it together. I was expecting the worst but trying to commit to make the best of whatever happened. We arrived (after some difficulty locating the set at the dark and desolate marina) just as they were finishing filming the first scene. The original plan had been to feed everyone before they got started, but we got everything set up in time for them to take a break between scenes and before a lot of the extras went home. We hadn’t investigated the venue, something we will certainly be doing before our next catering job. 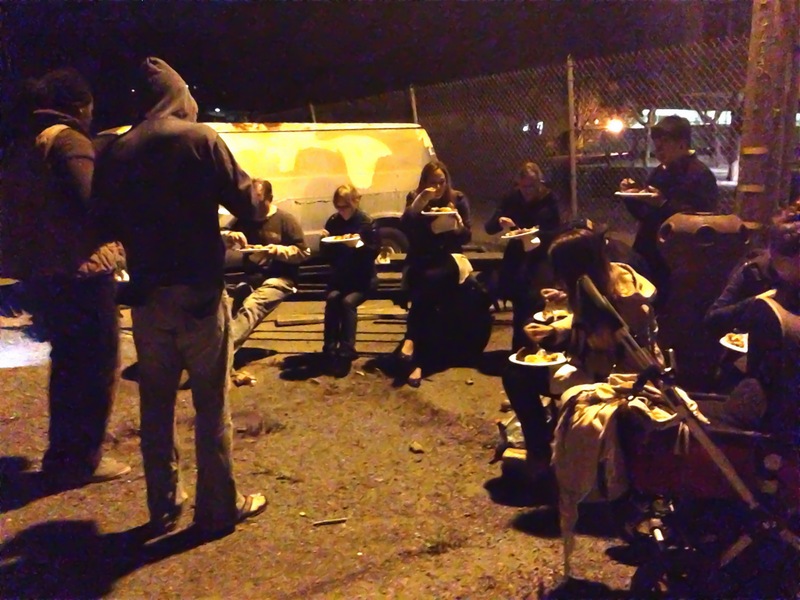 Otherwise we would have realized we would be serving the food in an empty dirt parking lot under a single street light. 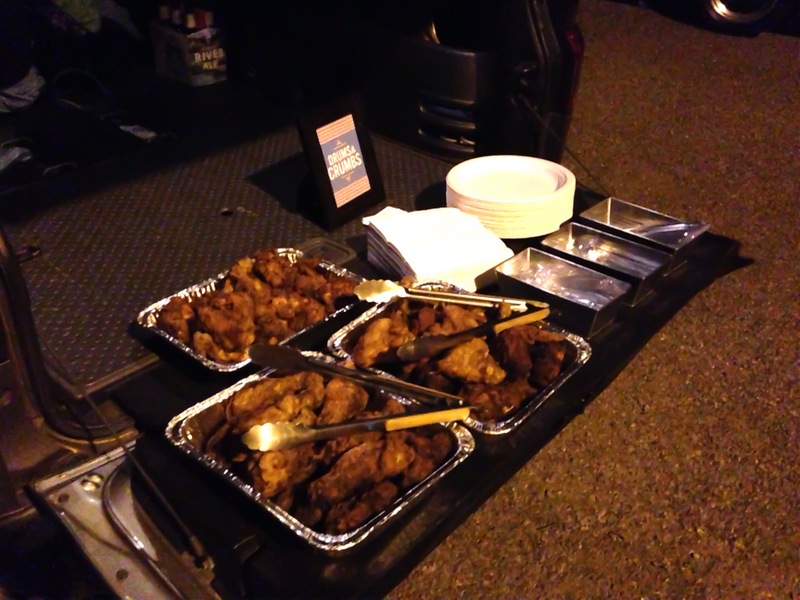 We ended up recruiting a second vehicle to park next to us and had ourselves an old-fashioned tailgate out of the back of the cars. When the camera crew arrived, they added some of their LED lights to the set up to illuminate the food. It was not at all how we imagined it to be, but the actual serving was accessible and fluid, and there were enough random objects in the vicinity for people to perch on while they ate. I think most of the people assumed we were right on time, and our “client” didn’t seem upset about the three-hour delay. I’m just thankful it happened under those circumstances, and now we have time to improve and practice our process to ensure it doesn’t happen again. It is crazy to think that I have a food business that is actually up and running and open to the public. The food got rave reviews last night, and a lot of people took our business card and said they would refer us to their friends. Even with the chicken problems, I was pretty proud of what we produced. I’ll be even more proud when the chicken is cooked correctly and the sides are served while they are still hot. I’m interested to look back at this experience six months from now after we’ve done this many times to see how much better things are. By the way, Future Rachel, if you are looking back at this and things aren’t better, then you are doing something wrong. Wow, is it April already? I’m sorry, I know I have been neglecting you. It’s been a weird time for me the past couple of months. I officially announced my new business and celebrated my 30th birthday at the end of January and then took the California bar exam (again) at the end of February. I won’t even pretend to predict how I did because I thought I did just fine last time, but I’m comfortable with my performance. I won’t find out the results until mid-May, and I’ll be two busy slingin’ fried chicken by then to care too much (which is a lie, I will inevitably care a lot while pretending not to). Then last month I had the mixed experience of breaking up with my boyfriend and moving to a new city. Despite this being my personal blog, I’m not going to say anything else about the former, but I will speak at length about the latter. Yes, I am now a resident of the beautiful Sonoma, California! 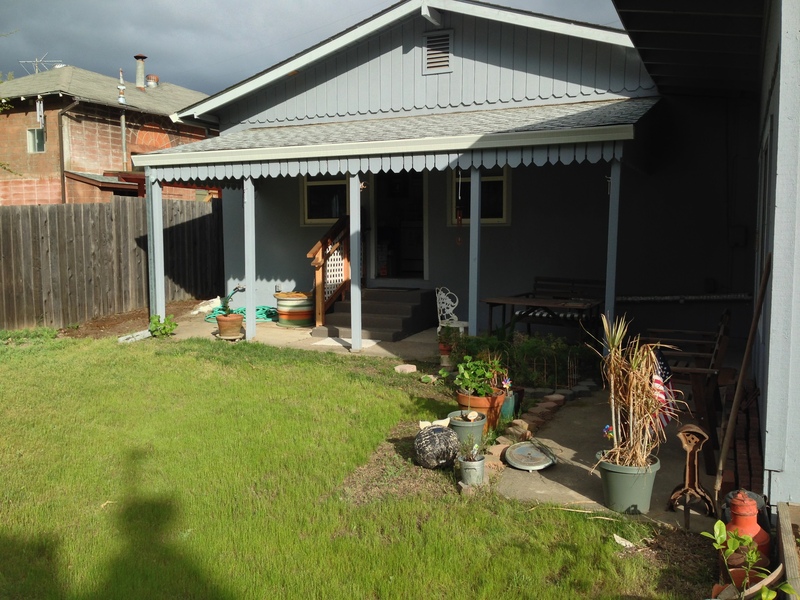 A sneak peak at my new house complete with an awesome backyard! 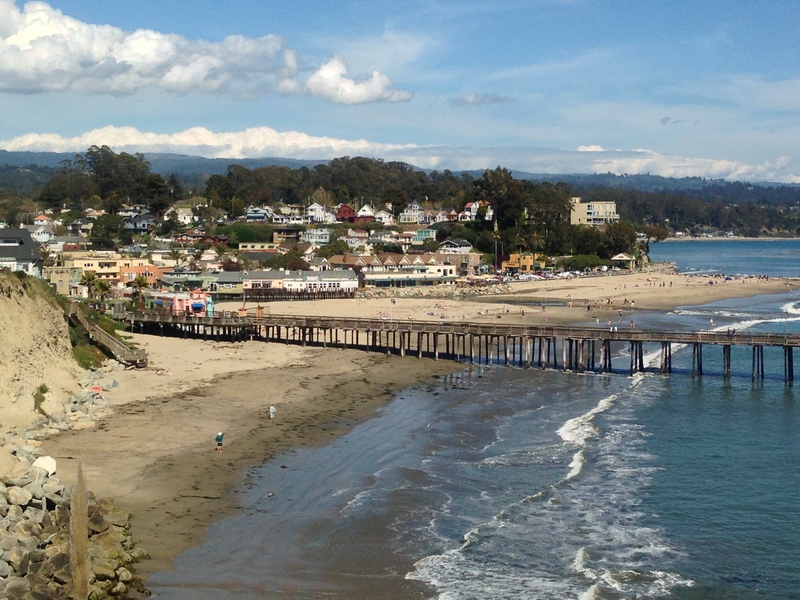 In case you are late to the show, the reason I left a perfectly delightful coastal town on the central coast of California is that my business partner, Arthur, and I realized that Sonoma County would be a much better place to launch our food business. I was just past the one-year mark in Santa Cruz County when I left, so it was definitely bittersweet. I’ve always thought it takes a solid year to really feel like you live somewhere, and the past year was no exception. The thought of having to wait another year to start to feel like I finally belong somewhere again is a little tiresome. Nonetheless, here I am, and both the business and I will be better off because of it. I moved into a tiny house in the tiny census-designated area of Boyes Hot Springs. The house was built in the 1940s close to the shipyards on the bay but was later moved to this area. The whole neighborhood is made up of those cute, old houses. To complete the whole Mayberry-feel, I don’t even get mail service and had to get a post office box, which is within walking distance. In fact, I think I could get by with just a bicycle quite easily. Arthur is now my roommate. His plan is to grow the business enough to get him back to San Francisco, although I can tell he appreciates the small-town life more than he thought he would. Its always interesting to live with a new person, and Arthur is no exception. Drawing the line between business and personal life is going to be tricky since we’ll both be working so hard and in close proximity, but we are trying to keep the business talk to formally scheduled meetings, most of which have occurred at the coffee shop down the street. Personally, I am trying to be more intentional with my personal time by engaging in certain hobbies, including cycling, gardening, and playing the guitar. I’m still wondering if I’ll ever meet anyone in this town who is my age. 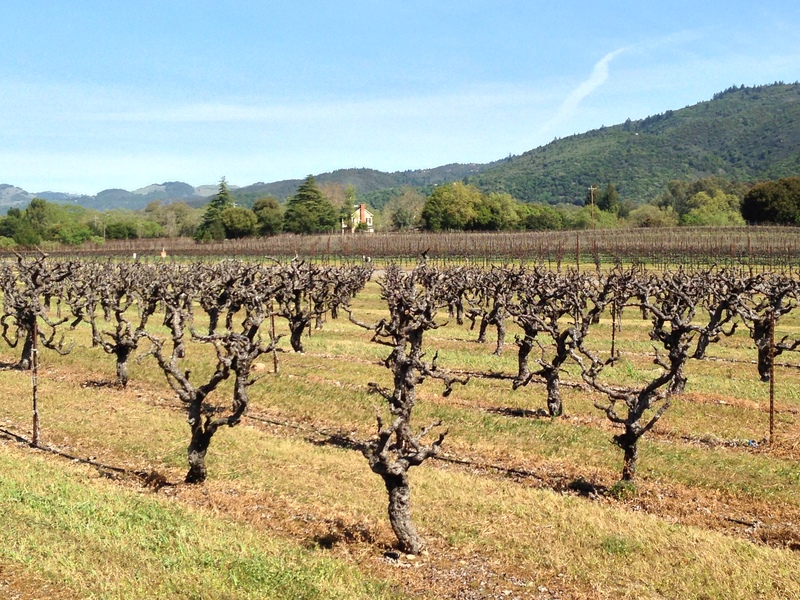 The predominant demographics in Sonoma are families and retirees. There’s not a lot going on job-wise for the young professional crowd. On the business front, things are getting really exciting. We have been working with a graphic designer the past month or so to develop a logo and a design scheme. We made the final decision today, so I’ll be introducing all of that pretty soon. We battled the state for a couple of months to get a limited liability corporation application processed and finally prevailed. Right now I am working on the dozen or so other permits and certificates we will need. We’re also working with a bank and a lender to get a loan to purchase a food truck, and we are trying to get a commercial kitchen nailed down this week so we can work on our recipes and procedures and do a few catering gigs later this month. On top of that, we’re also figuring out the content for the website and are in communications with several local farms regarding our ingredients. Yeah, its an exciting and busy time. Over a semi-celebratory dinner of Mexican beer, tacos, and enchiladas, Arthur and I were discussing how it was hard to feel like we are accomplishing anything because the to-do is growing a lot faster than we are crossing things off. Arthur says it was a sign we were doing something right. So much of our lives consists of conditions we’ve fallen into. We gravitate unwittingly to what works in the short term, in terms of what to do for work and what crowd to run with. There’s nothing wrong with living from defaults, necessarily, but think about it: what are the odds that the defaults delivered to you by happenstance are anywhere close to what’s really optimal for you? In other words, we seldom consciously decide how we’re going to live our lives. We just end up living certain ways. In all likelihood, what you’ve inherited is nowhere near what’s best for you. Chances are very slight that there isn’t a drastically better neighborhood for you out there, a more kindred circle of peers, a much better line of work, and a much more rewarding way to go about your day than the way you do. Your level of fulfillment and sense of peace with the world depend on how well-matched your values are to the life you’re actually living. There’s no reason to believe they’ll match well by accident. I’d rather be in France. started when I realized I wasn’t living the life I wanted to live. I went to law school out of academic curiosity and sort of fell into a pretty good job at a large law firm in New York City. It was not a “bad” life by any stretch of the word. I made a lot of money, lived in the greatest city in the universe, met tons of brilliant and talented people, and garnered a lot of undue respect due to my job title. Still, it all happened as a default and not as a choice. Today I remembered a conversation I had with a law school classmate after I decided to move to France and open a bed and breakfast. She responded by saying she had been waiting to hear what I was really going to do with my life. I guess I had been waiting too. I found it interesting that the writer of that article mentions the lack of conscious choice as to where one lives. That is something I have explored myself and has been a recent topic of conversation with friends. I’m not suggesting that everyone needs to move 3000 miles away to a city they only visited once and where they don’t know a soul — only a crazy person would do that. However, I am suggesting that you should live where you live by choice. Similarly, you should do what you are doing by choice. Maybe you would choose the very occupation that you “fell into,” but even recognizing that you had a choice and you made it can add a lot of meaning to your life. I had a therapist in New York who told me she always told her clients who complained about their jobs to start looking for a new job. Most of the time, they would realize that even though there were other options out there, they were already in the better situation. As a result, they were happier with their jobs even though nothing changed. The emotional and psychological difference between activity and passivity is pretty profound. Anyway, I’m going to stop typing before I start going on a rampage, but I implore you to actively make choices.